Facebook says it's bringing closed captioning to Facebook Live to make at least some of the videos streamed live on the social network accessible to people who are deaf and hard of hearing. Not all Live videos will have closed captions, but if captioning settings are turned on, Facebook users will automatically see closed captions on Live broadcasts when they're available, Facebook's director of accessibility Jeffrey Wieland told USA TODAY. Facebook videos that are not live-streamed already had this capability, but only if the publishers offer captions. The move is part of the broader push at Facebook to make more of its content accessible to more people. More than 5% of the world's population, about 360 million people, are deaf and hard of hearing. About 30 million people in the U.S. have some degree of hearing loss, a figure that's likely to increase as the population ages. "It's absolutely an imperative for the deaf and hard of hearing community so our hope really is that we can continue to build more and more tools in the captioning space that increase the amount of videos that have captioning both real time and otherwise," Wieland said. "We want and need to be able to understand online content especially if these videos contain information like weather announcements and forecasts, anything regarding politics, etc. Obviously, all online content being captioned is important to me, but it's extra important when it can cause an effect on our lives," Poynter said in an email. "Also, we just want to watch fun videos, too." Facebook said it does not know how many of its videos have closed captions. That's because the responsibility for providing the captions falls on video publishers. Starting in 2014, Facebook made it possible for publishers to add closed captions via a text file when uploading videos to their pages. Publishers can also use Facebook's speech recognition service to generate automatic captions for videos on their pages that can then be edited. 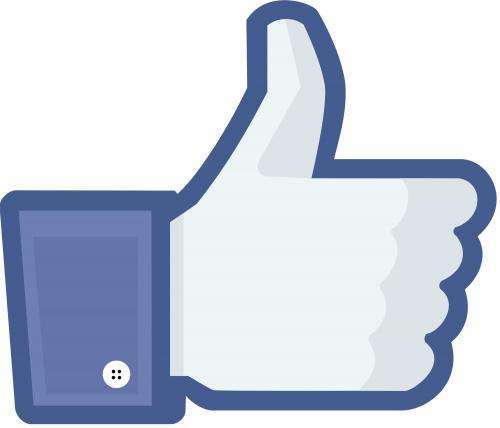 Facebook says it's exploring technology to improve captioning on video. With the latest updates to Facebook Live, publishers who have their own captioning technology will be able to add captions to Live videos, Wieland said. Publishers who don't create their own captions can work with vendors to insert captions into Live broadcasts, he said. "I think it's a great idea. It's something that people have been wanting for YouTube live broadcasts, but haven't been able to get it," Poynter said. "I'm very interested in seeing how the live captions on Facebook streams will work." Closed captions, like other accessibility features, were an afterthought for much of the Internet. But tech companies are under growing pressure to address the pervasive lack of accessibility as the world's population grows and ages and as more of everyday life takes place online. Dependent on growth, these companies cannot afford to overlook large swaths of the population. They also could face some legal exposure. It's unclear if websites and mobile apps are legally required to provide equal access to people with disabilities under the 1990 Americans with Disabilities Act which became law before the Internet was as ubiquitous as it is today. But consumers and their advocates are filing lawsuits, claiming tech companies have just as much of a legal obligation to make their services accessible. The challenge for companies like Facebook and Google's YouTube: the growing number of online video clips flooding those services. More and more, these companies are leaning on artificial intelligence to automatically generate captions or on community members to volunteer captions. YouTube first launched closed captions in 2006. Three years later it began using automatic speech recognition to add closed captioning to YouTube videos. YouTube users watch videos with these captions many millions of times each day, but the captions are too often riddled with errors. Poynter's campaign #NoMoreCraptions called out "crappy" captions on YouTube. Google's automatic captions have improved over the years, she says, so the words are mostly correct but the grammar still isn't. "Everything is a run-on sentence and there's no punctuation," Poynter said. "Some of the biggest YouTubers use that method to get captions and a lot of people will write in unnecessary (and sometimes very, very rude) commentary about the YouTuber or things in general. It's not what captions are for. It's one thing when everything is written incorrectly as far as grammar and stuff goes, but to deliberately add in such content is worse," Poynter said. Facebook says it's a business imperative to build close captioning tools for video. Facebook CEO Mark Zuckerberg has predicted that videos will become a primary way that people share on Facebook in coming years. "We have always felt that our mission of connecting everybody in the world means everyone. And in order for us to include people who are deaf and hard of hearing as equal members of our platform, we have to build great captioning tools for them," Wieland said. "My hope is that we get to a point as an industry that it is simply the default experience that videos come with closed captioning. We certainly have a ways to go, but I'm optimistic." "Any big companies that read this article (including Google, YouTube, and Facebook), please work on bettering captions," she said. "We've gotten better than what it was years ago when stuff first came out, but there's still more work to be done!"